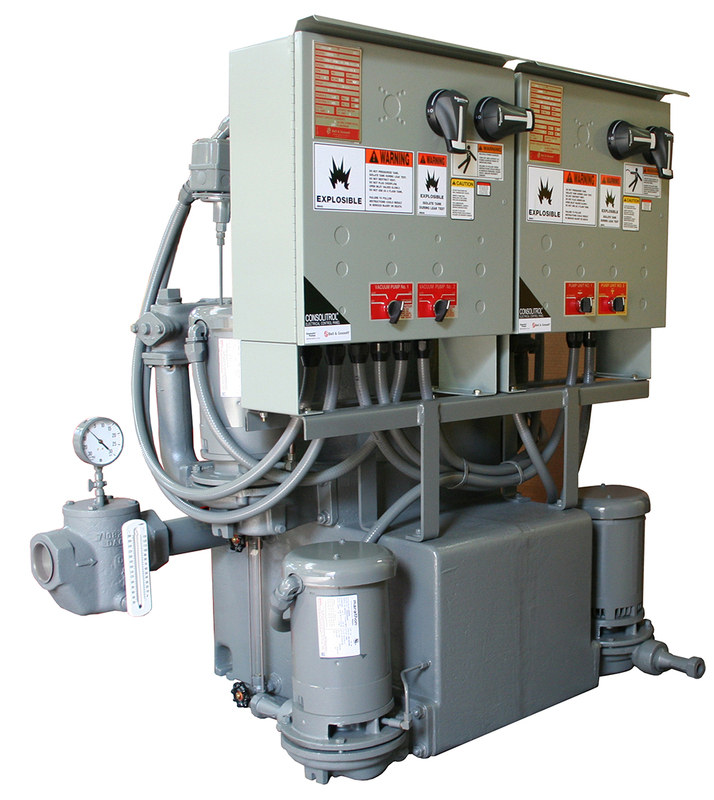 The series VCD vacuum heating unit is designed for large systems through 150,000 sq. Ft. EDR. The VCD include durable cast iron receivers, warranted for 20 years against failure due to corrosion. These units feature individually sized and separately controlled vacuum producing pumps and condensate handling pump. These units are available with one vacuum and one condensate pump (simplex), one vacuum and two condensate pumps (semi- duplex) or two vacuum pumps and two condensate pumps (duplex). Optional temperature controls may be added to stop the vacuum pumps or add cold water when high water temperatures are sensed.